Bow hunting is a sport that mainly entails two specific sets of skills: archery and hunting. A good number of hunters consider Learning To Bow Hunt as time-consuming and tedious. Some of them actually believe that it can take someone a lifetime to master it. However, this could be far from the truth, Traditional nomads and hunts did not have the same equipment that is readily available today. In fact, you will be surprised how fast you can be in sync with a bow once you follow the steps that will be described below. What is your take on archery? Do you think Learning To Bow Hunt takes time? Well, my aim is to make you see that it is possible to enjoy archery success in only a few weeks instead of years of preparation to achieve proficiency. When you visit a bow store, you will find different types of archery accessories that vary in size, shape, color, and price. This could make settling on a specific type quite hard. The availability of such a large variety of equipment is an affirmation of the fact that hunting is as much subjective as the choice of an accessory. What Is One Disadvantage of Hunting from an Elevated Stand? Bow hunting can be in different techniques and configurations. However, most popular bows only fall into two main categories: compound and recurve. The recurve bow has a simple design that includes more than one pair of curved limbs, and a handle that enhances usability. On the other hand, the compound bows have a system of pulleys and a bowstring that snakes between them. The pulley system greatly improves efficiency as they reduce the amount of force required to operate the bows hence making the compound bows the best recommendation for Learning To Bow Hunt. Mastering the skill of archery may take some time But once you learn how to shoot an arrow, you have started your journey of becoming a skilled archer. I shall now take you through the steps that you will need to follow in order to learn how to bow hunt. As mentioned above, I recommend that you choose a compound bow. It is not only simple to operate but also efficient. With little practice, you will be shooting in just a few days or weeks. You will need to select a version either right-handed or left-handed depending on your physiology. To establish your orientation, you need to use your dominant eye but not your dominant hand. Hold your bow and aim using your right eye while closing the left eye or vice versa. After that, choose the type of the bow (right-handed or left-handed) to which you can aim best. Some people can shot with both their eyes open, those type of people can use either bow. 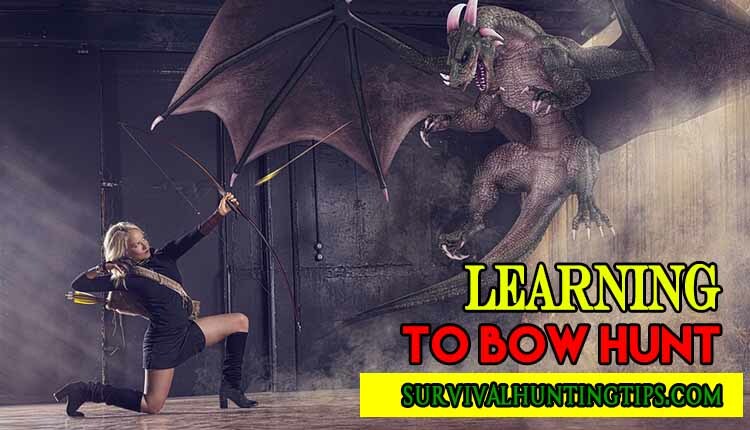 After watching and reading the tutorials, do you think Learning To Bow Hunt is easy? Were the information and resources helpful? I continue to believe that in the task of becoming an archer, you no longer have to worry about overhyped advertisements. All you have to do is diligently find the right bow, add some accessories and you are half way to becoming what you dream of. Leave your thoughts and comments and share the article if you liked it.